The spiritual sequel to the legendary Pc classic System Shock, BioShock is a revolution in the shooter genre that will forever change the expectations for the xbox 360 FPS. 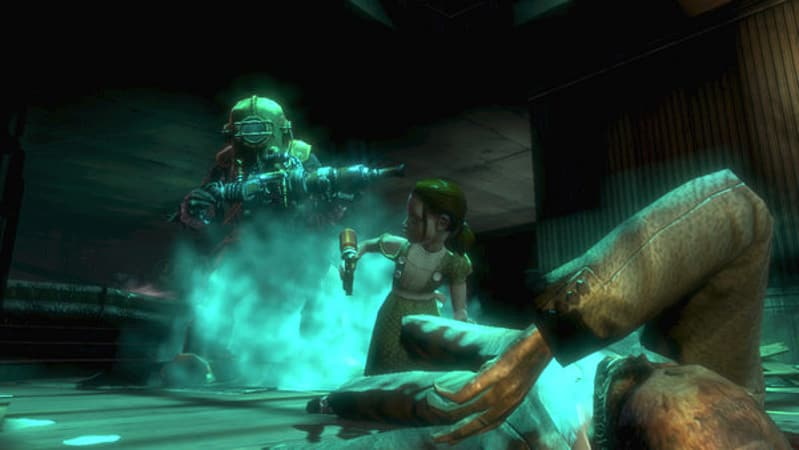 The spiritual sequel to the legendary Pc classic System Shock, BioShock is a revolution in the shooter genre that will forever change the expectations for the xbox 360 FPS. 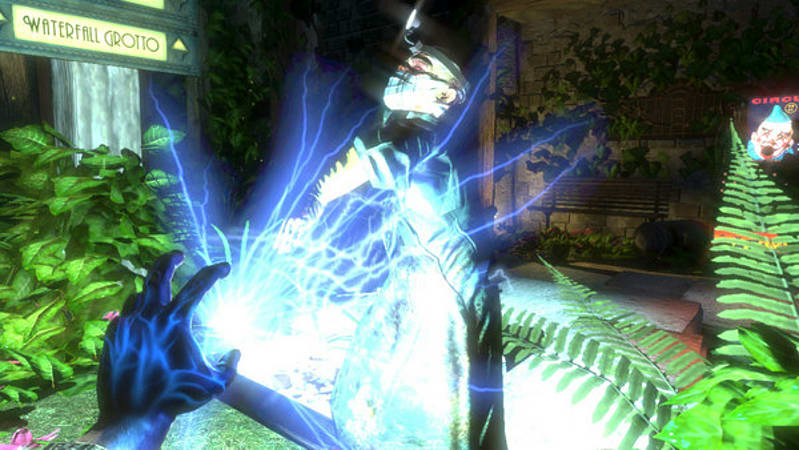 Going beyond run and gun corridors, monster-closet AIs and static worlds, BioShock on 360 creates a living, unique and unpredictably shocking FPS experience. 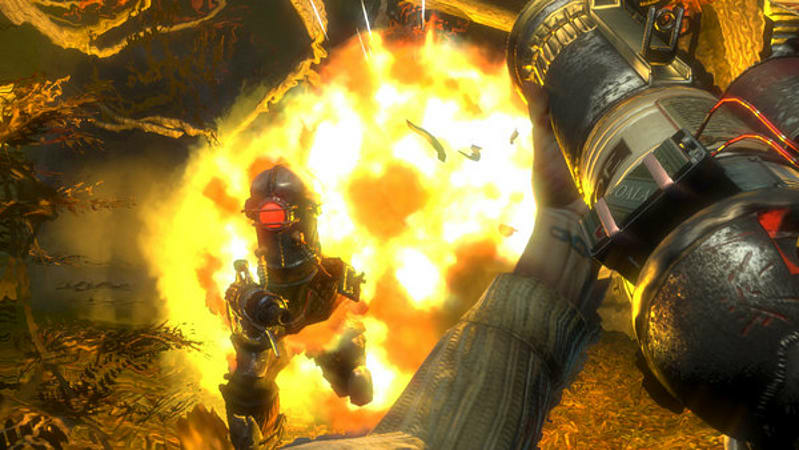 BioShock is the Shooter 2.0. 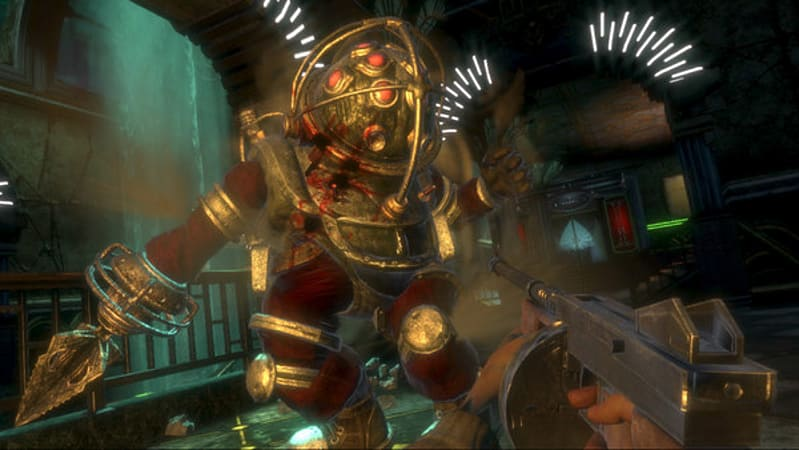 Bioshock begins as your plane crashes into icy uncharted waters, where you discover a rusted bathysphere and descend into Rapture, a city hidden beneath the sea. Constructed as an idealistic society for a hand picked group of scientists, artists and industrialists, the idealism is no more. Now the city is shockingly littered with corpses, powerful guardians roam the corridors as biologically altered little girls loot the dead, and genetically mutated citizens ambush you at every turn. 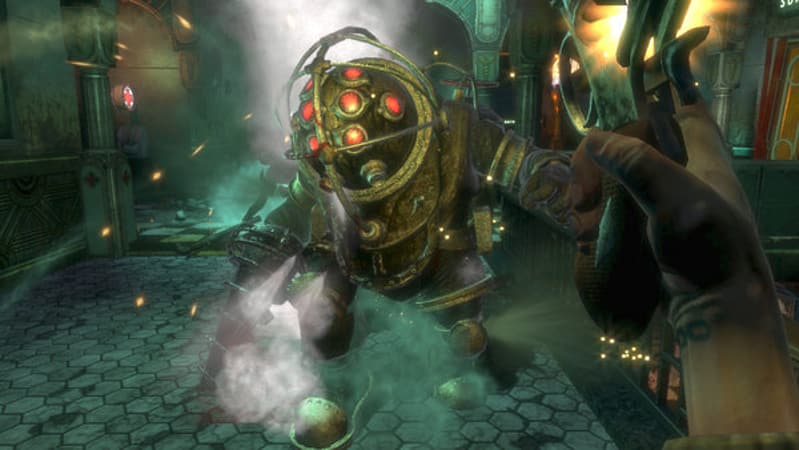 Shockingly in-depth gameplay: Take control of Bioshock's world by hacking mechanical devices, commandeering security turrets and crafting unique items critical to your very survival. Unique Weapon System: Upgrade Bioshock's weapons with ionic gels, explosives and toxins to customize them to the enemy and environment. Alter your own biology! : Genetically modify your body through dozens of Plasmid Stations scattered throughout the city, empowering you with fantastic and often grotesque bio-organic abilities. Explore a living world! 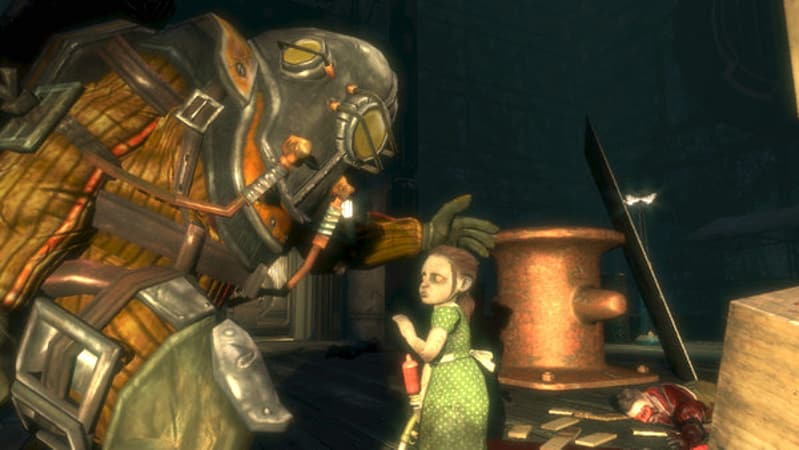 : Powered by Ecological A.I., Bioshock's inhabitants have interesting and consequential relationships with one another that impact your gameplay experience. 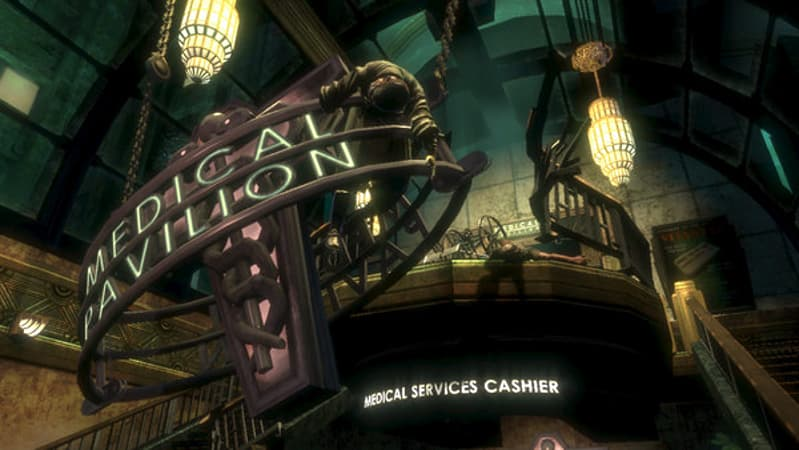 Unique Visual Flair: Experience truly next generation Xbox 360 graphics that vividly illustrate Bioshock's forlorn art deco city, highlighted by the most detailed and realistic water effects ever seen in a game. 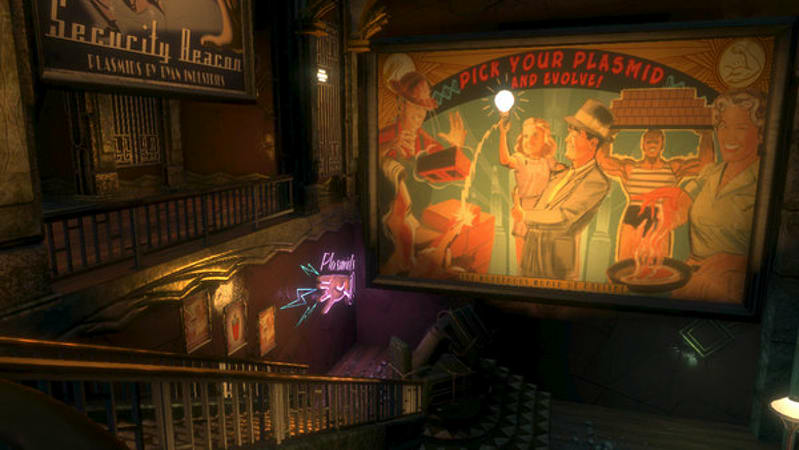 Make meaningful choices and mature decisions: Bioshock's thoughtful plotting ultimately culminates in the grand question: do you exploit the innocent survivors of Rapture's biological nightmare… or save them?